Baudrillard says of Pompeii, that "everything is metaphysical in this city." The tactile presence of these ruins is magnificent for the psyche, with their suspense, their twisting shadows, their sheer matter-of-factness. A conjunction of the banality of a promenade and the immanence of another time, another moment, unique, that of catastrophe. . . . Few places leave such an impression of worrisome uncanniness (it is no surprise that Jansen and Freud set the psychic action of Gradiva there). Here one feels all the heat of death, rendered all the more vivid by the fossilized and fugitive signs of daily life (FS, 42). 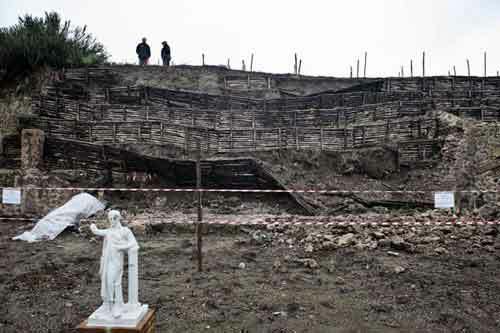 Perhaps a sign of the timeliness of our inquiry into the metaphysics of accident is the recent collapse of the ruins of Pompeii, the second death of which philosophers speak (since we are learning the semiotics of immanence)?